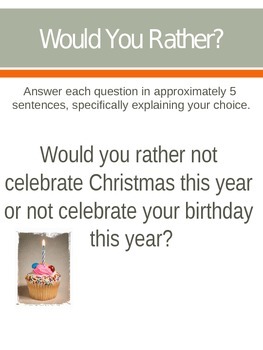 Use this PowerPoint presentation to add some Christmas-spirit to the start of your class. 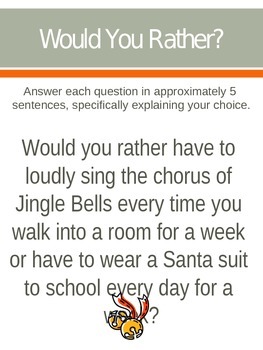 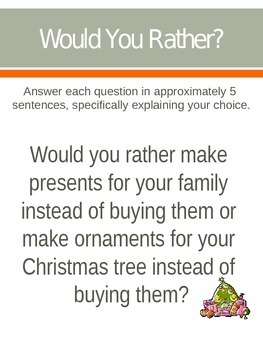 My students love these "Would You Rather" format questions and I often hear the conversations continue in the hallways throughout the day. 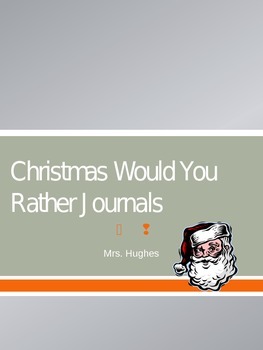 This 21-slide presentation is formatted to fit one journal topic per slide with Christmas-themed design.